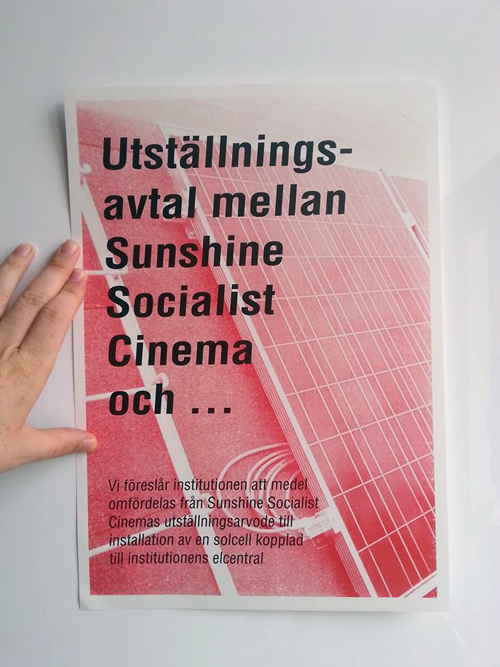 We’ve done a couple of public appearances during the fall to introduce and talk about the Sunshine Socialist Cinema, and recurring questions from the audience usually include “How much did the equipment cost?” and “How do you finance it?” Well – the solarpanel cost around 600 Euros and the projector cost around 500 Euros. We’ve worked without any financing so far (meaning we’ve paid for the equipment through working other jobs). But – we get free electricity now. What does that mean for our economy? 1. The price of electricity will remain the same from now on. It will not increase due to shortage of natural resources or demands for higher profit margins in power companies. It will not increase due to taxation in order to protect the environment. If the price of electricity were to increase, as it has for the last decade, solar panels would become more cost efficient than in our example below. 2. The cost of producing solar panels will remain the same from now on, and they will not become more efficient due to research into the technology behind solar panels. This is a s good as it ever will get. If a later model of solar panels would be more efficient than the models available today (if they were to produce more electricity at the same cost or at a lower cost), well, yes, they would be more cost efficient than in our example below. On to the calculation. We’re looking at this really long-term. Let’s say we invest in one solar panel, spending 600 Euros. After ten years, it will have produced enough electricity to earn us back our initial investment (after ten years, it will have earned us 600 Euros). It will still work for another fifteen years, so everything from now on is bonus (another 900 Euros). 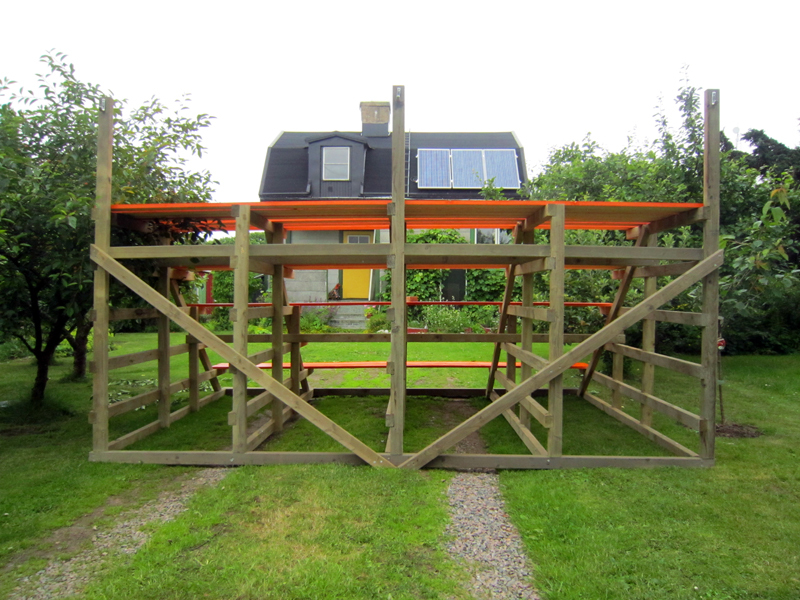 Let’s say we re-invest the 600 Euros we just earned back after ten years, buying another solar panel. We now have two of them, one of which will work for another fifteen years, one of which will work for another twentyfive years. After only five years, they will have earned us back our initial investment (the two of them together will have earned us 600 Euros in five years). 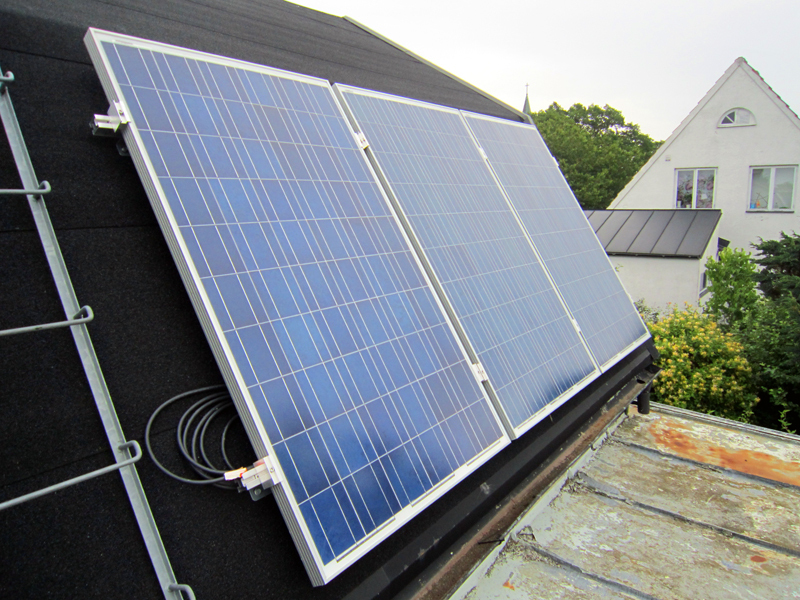 To sum up – fifteen years after the initial investment, we have two solar panels, both of them paid for. One of them will work for another ten years and one of them will work for another twenty years. Everything from now on is bonus. Let’s say we re-invest the 600 Euros, the same money as fifteen years ago. We now have three solar panels. After three years and nine months, they will together have earned us back our initial investment. Let’s say four years, to make it easier for us to count! So, nineteen years after the initial investment, we have all our money back, and three solar panels paid for. One of them will work for another twentyone years, one of them will work for another sixteen years, and one of them will work for another six years, producing free electricity. Let’s just do one more round, even though we could obviously continue on and on. Here we go. We re-invest the original amount of 600 Euros, the same money as nineteen years ago. We add another solar panel, and now have four of them. The four of them together will earn us back the 600 Euros in just two and a half years. So. Twentyone and a half years after the initial investment, we have all our money back and four solar panels paid for. One of them will produce free electricity for another twentytwo and a half years, one will work for another eighteen and a half years, one will work for another thirteen and a half years, one will work for another three and a half years. More and more solarpowered cinemas around the world! The Dutch project Solar Cinema is touring Latin America right now, setting up local solarpowered cinemas all over the continent. Servers seem to be down temporarily, but you can also check out their Rio-workshop on this blog. Then there’s the Sol Cinema, “World’s smallest solar movie theatre”, housed in a caravan. And Gorilla Cinema, which will “take film where it has never been before”. And Groovy Movie Picture House Solar Cinema, “the world’s first mobile solar powered cinema”. Finally, Swedish artist Ida-Britta Petrelius has worked out an ingenious art installation with solar powered projections. 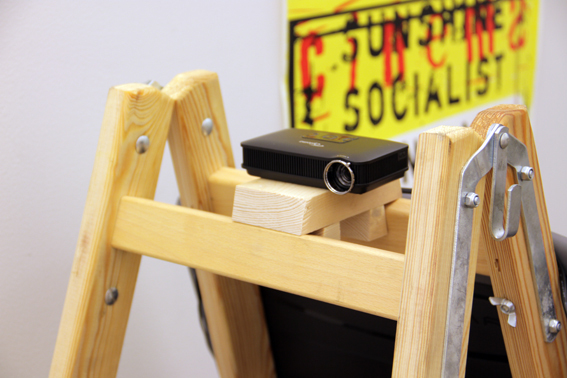 The Sunshine Socialist Cinema held a presentation at IASPIS in Stockholm during the Open Studios 21-22 September. We made a brief introduction to the cinema setup and programming, screened the video A Ruda Road Movie by Marie Bondeson, announced our Open Call, and all of it through our new mobile Minimal Cinema. For more info on the Open Call, check the menu above. 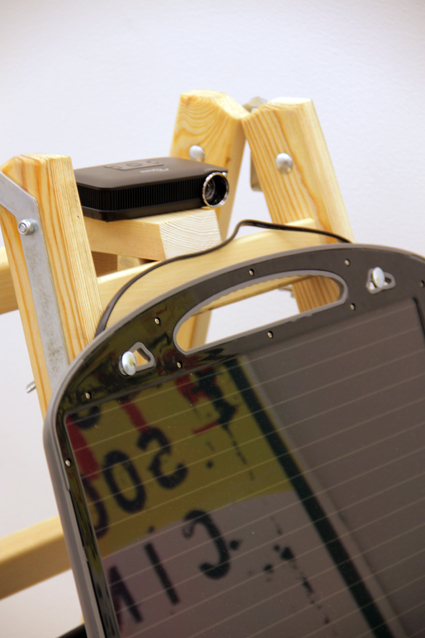 The solarpanel produces 13 W per hour and charges a car battery. 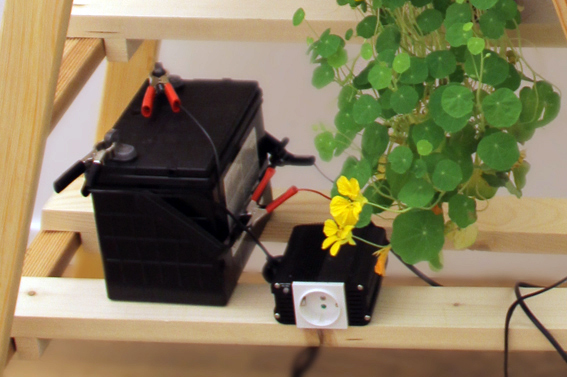 From the car battery and a 220 V converter we can then charge the internal battery of our pico projector. 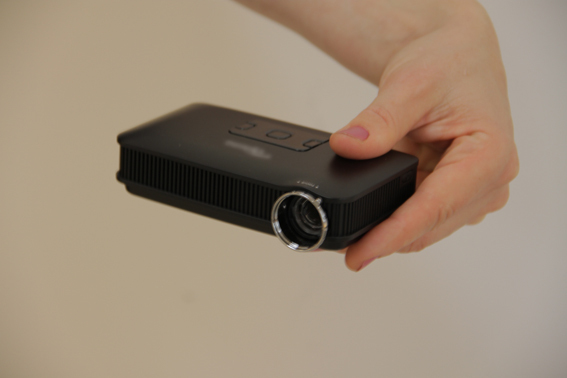 The pico projector has an internal battery and holds a memorycard, which makes it an easily transportable filmscreening apparatus. It’s only about 13 x 6 x 2 cm in size. When the environment is dark enough, we can get an ok size on the projection, though obviously not as good as with our ordinary projector. 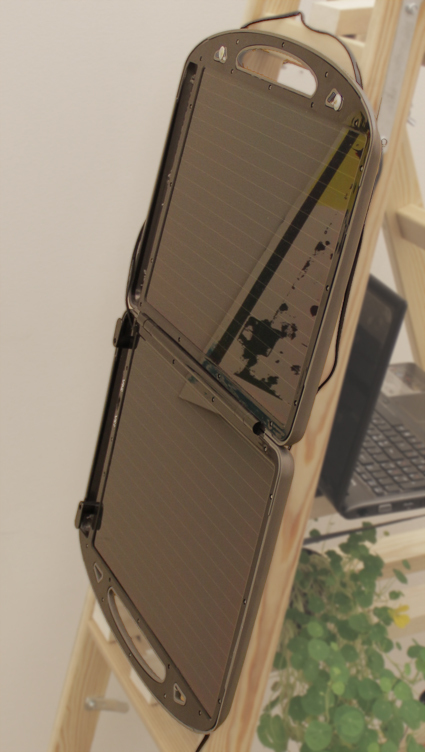 The solarpanel folds up into briefcase size. The whole setup cost us roughly 300 Euros for the projector plus 150 Euros for the power supply (solarpanel, battery and converter).